At Discover Strength, we offer appointment-based, one-on-one and small group strength training sessions. Our educated, expert trainers utilize a scientific approach to help you safely and efficiently build muscle. During each 30-minute session you can expect to complete 10 to 12 exercises, achieving a total-body workout unlike anything you have ever experienced. With a focus on proper form and a slow speed of movement, clients of all ages and abilities can work with a high level of intensity while insuring a safe training experience. One Personal Trainer working with one client for 30 minutes. Our personal trainers hold undergraduate degrees in a health or exercise science related field, are ACSM or ACE certified at the highest level available, and have undergone extensive internal training as a part of Discover Strength University. Optimal for Individualized programs that need to be designed around injury or medical conditions as well as allow for maximum variety in training. $56 per session on our auto-pay program. One Iconic trainer working with one client for 30 minutes. The Iconic Trainer has fulfilled all of the requirements of the “Personal Trainer” listed under our 1 on 1 Personal Training section and has completed over 3000 training hours at Discover Strength. An industry-leading practitioner, they speak at industry conferences, hold multiple certifications in specific areas/populations, have completed advanced clinical rotations, and ultimately, their education and experience allows them to provide an unparalleled training experience. $62 per session on our auto-pay program. One Iconic or Personal Trainer working with up to three individuals for 45 minutes. Small group ratios never exceed 3:1 to allow for maximum coaching from your trainer, while still delivering an individualized workout program. $35 per session on our auto-pay program. One trainer working with one adolescent client for 15 minutes. Every workout includes one exercise dedicated to strengthening the neck to help combat an increased risk of concussion injuries in adolescents. Trainers utilize high repetition protocols with a goal of achieving 15 to 20 reps, which better aligns with the needs of adolescent clients. $29.50 per session on our auto-pay program. “Intensity” of effort is the most controllable factor in achieving the results you will see from your workouts. But let’s be clear, our focus as your personal training experts, is to make sure we are tailoring the intensity to fit you. This means we don’t use a “one size fits all” approach. Instead, we are committed to meeting you where you are at; each session and in fact, each exercise, we will tailor the intensity of the workout specifically for you. And remember, intense doesn’t mean “unsafe.” You can work at an incredibly high intensity of effort with little to no risk for injury. First, do no harm. The foundation of effective exercise is SAFE exercise. What if you have an injury or are new to strength training? Strength training isn’t solely for people who are a picture of health. Instead, strength training, done properly is an incredibly therapeutic form of exercise. If you have joint aches, lower back pain, or are recovering from an acute injury, don’t wait until your health is perfect to start strength training. Our expert personal trainers will tailor the strength training prescription to adapt to your current health and injury status. In fact, more often than not, an intelligent approach to strength training is foundational in restoring optimal health and function. Our expert personal trainers have advanced training, degrees, and certifications allowing them to effectively work with clients with an array of injuries, ailments, and medical conditions. Our workouts are far less expensive than the average personal training session. 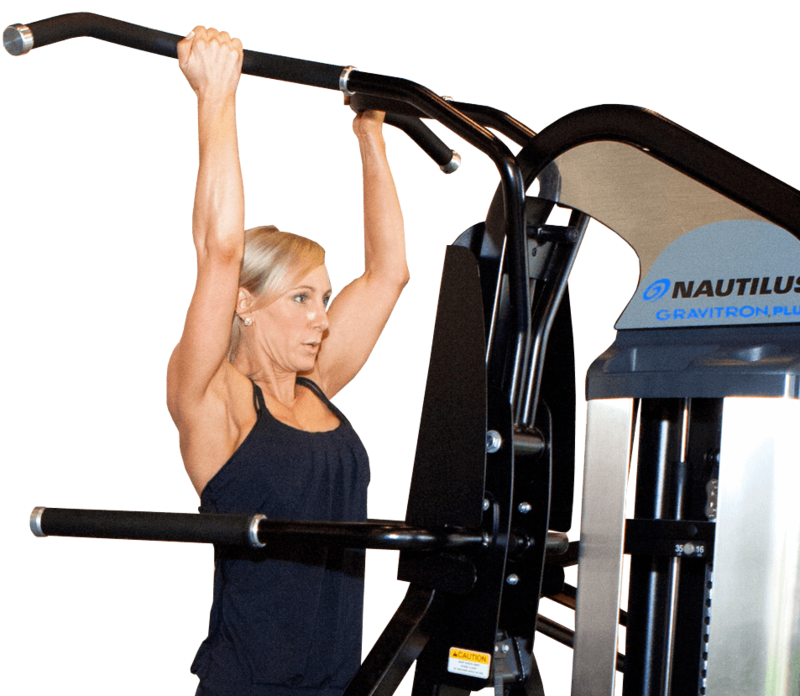 We are able to deliver the workout at this affordable price because our workout is only 30 minutes (and trust us, you won’t want to stay for 31 minutes!). You are receiving a better workout, better results, in far less time. Here is how our model works and is truly designed as a win-win: You pay less for your workouts and results while our expert trainers make more money per hour then the average studio or health club (this allows our expert trainers to have long-lasting careers at Discover Strength). For more on our prices, see above under each service.